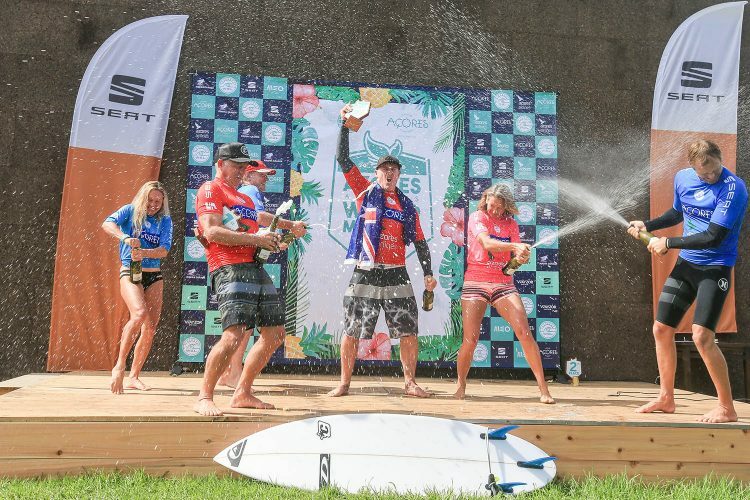 The Azores Airlines World Masters and Grand Masters Championships will bring back legends of surfing to crown World Champions in the Above-45 and Above-55 categories. These exciting events were held for the last time in Rio De Janeiro in 2011, crowning Nathan Webster (AUS) and Iain Buchanan (NZL). This time, most competitors will discover a completely new destination as the 2018 edition will bring some of the most successful surfers of all time to the idyllic Azores archipelago, and specifically the island of Sao Miguel. The picture-perfect black-sand beach of Praia de Santa Barbara on the north coast of Sao Miguel has hosted Qualifying Series events for almost a decade now, and has produced world class waves to crown some of the current Top 34 athletes on their way to surfing’s biggest stage. With reduced formats and a six-days waiting period, event officials will have the chance to really opt for the best conditions possible to run the competition. The biggest change in 2018 is that the Azores Airlines World Masters Championships will include a women’s division, inviting six competitors to fight for a first-ever women’s Masters Title. Seven-time World Champion Layne Beachley (AUS) and four-time World Champion Frieda Zamba (USA) will highlight the women’s field in Azores. And the men’s field won’t disappoint either with the likes of Sunny Garcia (HAW), Tom Curren (USA), Mark Occhilupo (AUS) in the Masters, Shaun Tomson (ZAF) and Wayne Bartholomew (AUS) in the Grand Masters among others.